Well, here we are, down to the very last minute for holiday shopping here. We’ve reached critical mass, where the malls are insanely crowded and we start thinking “a gift card will have to do.” Have to do? What kind of Christmas spirit attitude is that? You can give a gift card with meaning, or in a meaningful way, without venturing further than your local grocery store or drug store. Let’s check out some great last-minute gift card ideas that totally rock, shall we? Contrary to some belief, gift cards are NOT bad, thoughtless gifts. In fact, just about everyone I know loves getting at least a few for Christmas, as long as they’re to stores they actually shop at. My son asked for Game Stop gift cards because there is a strong possibility that “Santa” (he says his name with air quotes, he’s 10) is bringing him at least a new gaming system (there’s a new one on his wish list every year). He also loves Amazon gift cards because he has a million things on his wish lists. The key is to get a gift card that your recipient wants, then go the extra mile to present it in a fun way that goes beyond the “here’s a card with a witty statement about how I didn’t have time to get you a present.” Here are a few ideas that require nothing more than a trip to either your local supermarket or maybe your local CVS/Walgreens/whatever pharmacy is closest to you. Both the grocery store and the pharmacy should have a great selection of gift cards. These are your Visa/Mastercard/AMEX gift cards, and your Walmart, Target and Amazon too. Basically, a gift card that can either be used anywhere or is for a store that has just about everything. They’re one of the easiest to give because you don’t have to worry about whether you’re choosing a store your recipient likes or has access too (example, a specific chain of movie theaters when the closest one is 50 miles away). The thing about the Anything/Everything gift card is that can also the most impersonal gift card. 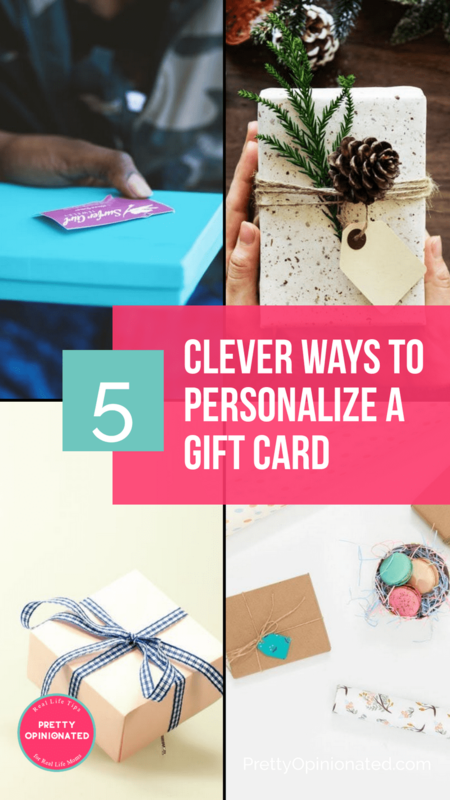 If you’re getting it because you really just don’t know what your recipient likes, it’s also the hardest to personalize. I absolutely LOVE this post over at Lil’ Luna with a whopping 75 DIY gifts under $5. Personalizing gift cards for movie lovers is fun and easy. First, choose your gift card. If they’re the type to stand in line for 24 hours to see the newest Star Wars flick or has a standing Friday night movie date with their best friend/significant other, a gift card to a local movie theater is always appreciated. Either do the research to find out what is in their area, or go with a Fandango gift card. You can select your design to reflect your recipient’s personality (they even have cool Star Wars designs) or even create your own. If your movie-lover is more of a home body, gift cards to Redbox or Netflix are great ideas. Personalize these with a popcorn bucket filled with snacks . Wrap popcorn boxes or individual packages in brown paper, then tie a ribbon around them to add a bit of festivity to the gift. Rather than just giving a bag of candy, empty it into a mason jar tied with a bow. Better yet, make your own gourmet movie snack mix out of grocery store finds and stick it in a reusable container (you can find festive containers in the seasonal section of your store, or just make one out of a plain container and, you guessed it, ribbons and bows. If you’re craftier than I am, you can get more elaborate than ribbon, of course. Bookstore gift cards are one of my favorites to receive. Amazon gift cards are perfect for book lovers, just make sure you personalize it to show that you were thinking “buy books for yourself” not “buy hay for your guinea pigs,” since Amazon gift cards also fall into that everything/anything category. You can also go with specific book stores. Barnes & Noble has a great online selection. Books-a-Million can be found in quite a few malls for those who just love browsing the stacks. To personalize this gift card without making a trip to an actual book store, hit the impulse buys rack in your grocery store and look for a cool bookmark. Can’t find any? 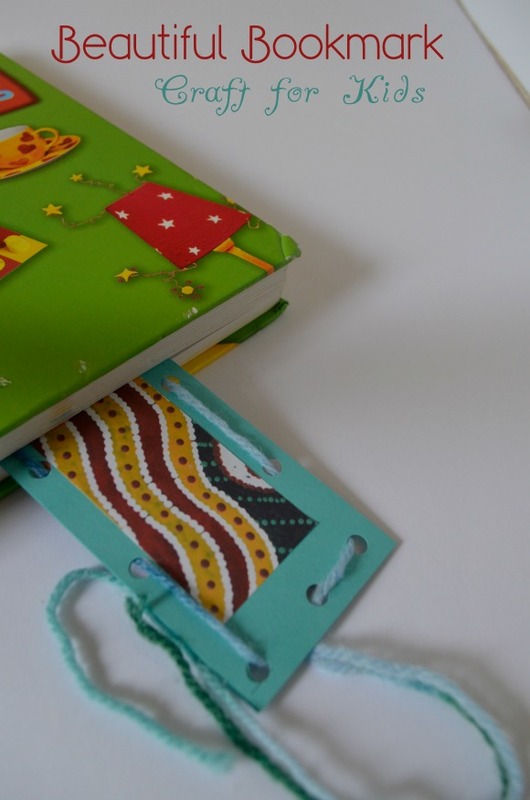 My Teen Guide has a great bookmark craft that you can make with supplies you have at home. It’s even easy enough for kids to make! Since I’m not much of a cook, I always love getting gift cards to my favorite restaurants. You can also get wacky with it. Give an Olive Garden gift card taped to the bottom of a large jar of olives, an Outback Steakhouse gift card tucked in the pocket of a stuffed kangaroo, etc. As someone who drinks an insane amount of coffee, I’m always happy to get gift cards to Starbucks or Dunkin Donuts. I love them both equally! Now, when you think of ways to personalize coffee gift cards, what is the first thing that comes to mind? Is it mugs? I bet it is. Look, mugs are awesome. I currently have 8 favorites that I rotate. I also have about 35 more mugs that are currently stuffed into my cabinet, stacked and overflowing. When someone knows you’re a coffee lover, they automatically buy you more mugs. As much as I love them, I’m out of room for them. Another way to go: coffee-related goodies. A box of good biscotti (Nonni’s is yummy and in most grocery stores), flavored coffee syrups or other items that go perfect with coffee are always appreciated. You could also include a little box of Christmas cookies, if you happened to have time to bake any. I did not. Thankfully, my mom made plenty to go around. If you have a bit more time, make a coffee mix in a mason jar as a special touch! 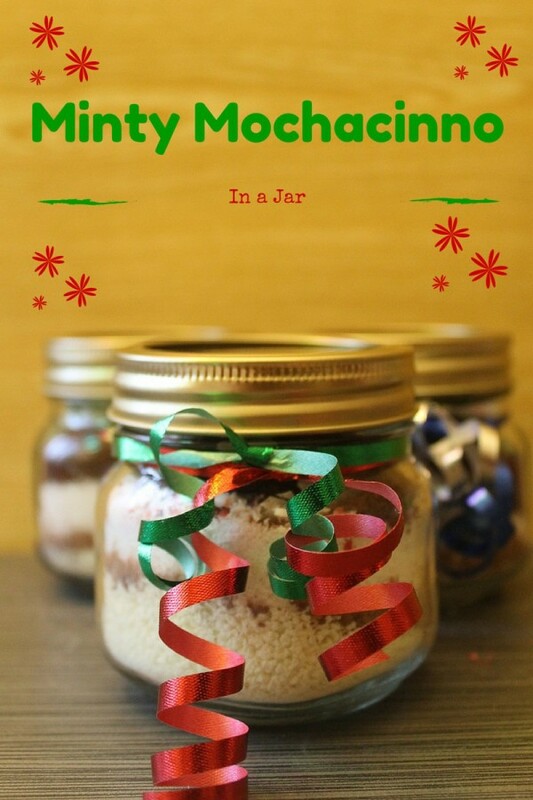 Try my Minty Mochacinno for a five-minute gift that is perfect for coffee lovers! Giving gift cards in a meaningful way isn’t hard, even when you’re down to the very last minute and only have the grocery store as your place to shop. If you really hit the wire and don’t have a moment left to spare (meaning, you’re buying that gift card as you head out to your family party, and you’re already running late), you can still get creative. Before you head out the door, print out a cute gift card envelope or note to go along with it. Pinterest has tons of free printables for making gift cards more personal. I love these Christmas gift card holder printables from The Girl Creative. Do you have any favorite last-minute gift card ideas? Share in the comments! I have learned so much about this article. Thank you so much for your web page. I am a new fan and love it. Love these ideas! Easy, cheap and great! Awesome tips to make anyone’s holiday magical.